Ultra Pro stock number 84515. Deck protectors are 66 mm x 91 mm. 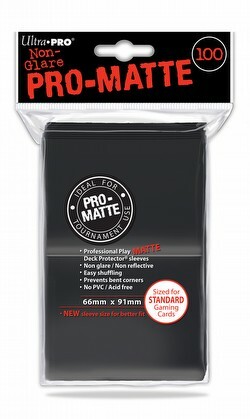 Black deck protectors with a non-reflective, matte finish. This item includes 6 packs, each containing 100 deck protectors (600 sleeves total).